My latest pattern, #ReflectiveMomentQuilt, is now available in my Craftsy shop (pick it up here!). My version features three shades of solid color purple fabrics complemented by a solid gray background. This is the color palette I dream about with all of my quilts! I knew this would be the one where the colors would really shine. The pattern includes two sizes: 32” x 36” and 64” x 72”. 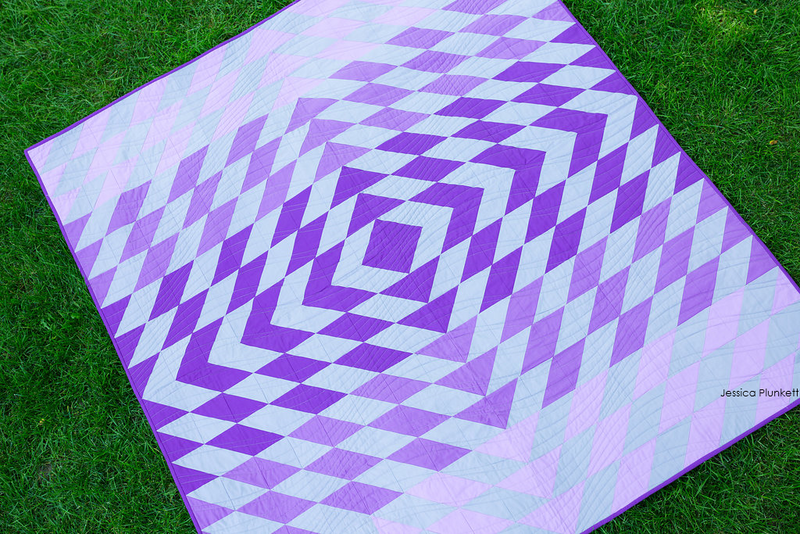 It’s a beginner friendly pattern with a focus on half square triangles. As always, I encourage you to customize it to make it your own! The pattern includes a few personalization concepts to help get the ideas flowing. I’d love to hear your feedback and see how you make this quilt, so make sure to use #ReflectiveMomentQuilt and tag @maeberrysquare on Instagram. And if you’re interested in carrying my patterns in your shop, drop me a note! 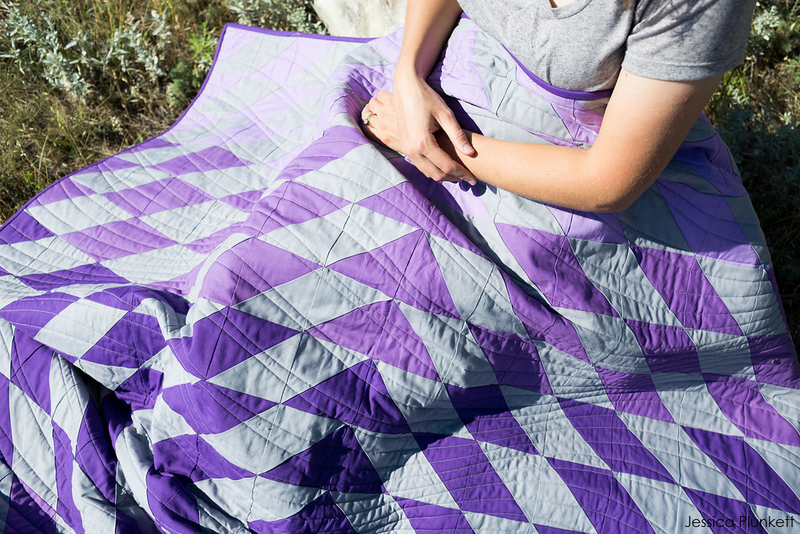 Purchase Reflective Moment quilt pattern.